The skin becomes firmer without losing elasticity. 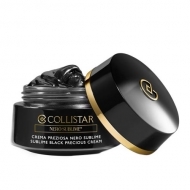 DESCRIPTION: Sublime Black Precious Serum from Collistar is a serum of face with black consistency that acts on the face to give fill and luminosity. 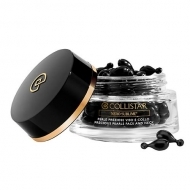 Its formula with precious ingredients leads to immediate results from the first application. Its use leaves a more sublime face with an immediate filling effect that makes the face softer and brighter, reducing wrinkles and imperfections. 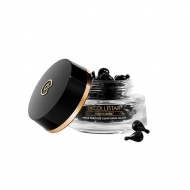 Composed of Black Orchid extract that protects and moisturizes the face, White Gardener stem cells that whiten and revitalize and Black Pearl hydrolyzed with the advanced Collrepair, a unique and innovative complex that repairs and detoxifies the outer layer of the skin as well as the inner layer. 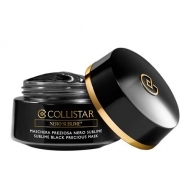 Can be used in conjunction with any type of Collistar brand treatment.